Did this little test cook a week ago with my son. Wife now says have to make more often. Next cook I think I will be adding some blackberry preserves to my sauce/ glaze! 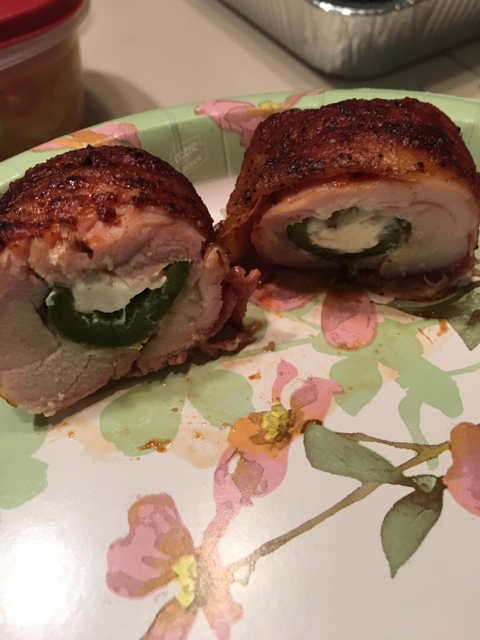 Stuffed a half pepper with cream cheese and put cheese side down in thigh. 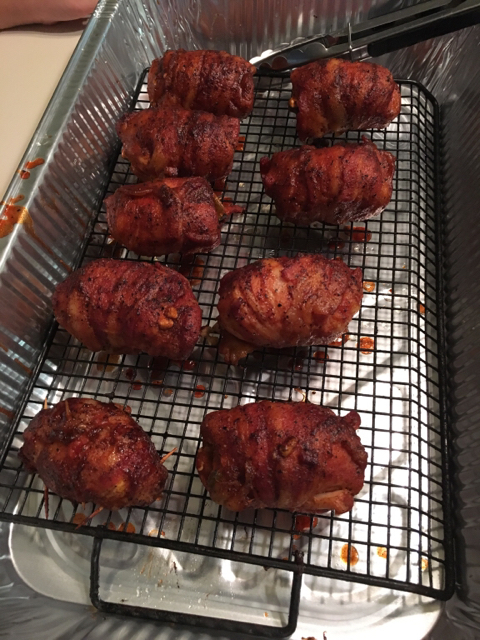 Roll thigh around pepper and wrap with bacon. Place in a mini loaf pan sprinkle on favorite rub, top with pad of butter. Cover with foil and place in a 275F smoker. Cook covered for about 2hrs or until 160 internal. Remove from pan and place on smoker for 10-15 minutes. Glaze then cook for another 5-7minutes, allowing glaze to set. That still means u'll eat 3 ?? Those look delicious, around here they are called buffalo butts. don't know why they just are. There's a couple small meat markets that actually sell them already put together and all you gotta do is put them on the grill. I can tell you this,. There not put together as well as yours are. Thank y'all for the compliments. I have to say they tasted as good as they look!